Whether you’re looking for your first road bike or planning to upgrade on a best quality/price ratio, here are the best bikes for you. Exclusive to Halfords, Boardman launched two limited edition road bikes for Christmas that were bound to appear on a few wish lists. Both bikes feature the legendary performance and amazing attention to detail that the brand is renowned for. Available from Saturday October 25th, the Boardman Performance Series Road Team Carbon Limited Edition is priced £749.99 from £999.99. With SRAM Apex 10 speed Drivetrain built around the award winning Boardman full uni-directional carbon frame with full carbon forks in a stunning white finish, Mavic CXP-22 rims and Boardman’s E4P finishing kit combine to produce yet another market leading performance machine. Launched in December the Road Sport Limited Edition is £374.25 from £499.99. With all of the incredible performance characteristics of the award winning Road Sport, but with the added benefit of a Carbon bladed fork for reduced weight and greater steering precision. The 7005 alloy frame features 16 speed Shimano Claris gearing and the same Mavic CXP-22 as the Team Carbon model. All these features with the added benefit of a carbon fibre bladed fork combine to provide an efficient, versatile, exciting and comfortable road riding experience. 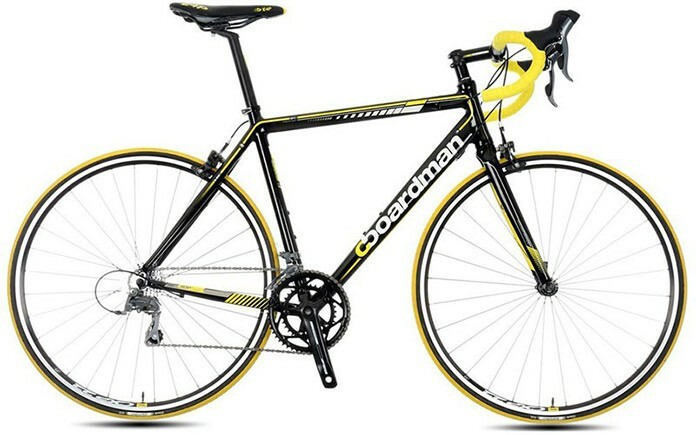 The Boardman name; penned by the brand’s creator, Olympic medal-winning Chris Boardman has become truly iconic in the cycling. As proficient in the medal stakes as its creator; this year winning the accolade for ‘Best Bike Brand of the Year’ at the 220 Triathlon awards. To celebrate the launch of this exciting new range, we’re offering you the chance to win one of the fantastic Boardman Performance bikes, in the discipline of your choice, as well as the opportunity for the first prize winner, to put their new bike through its paces on a ride-out with the icon and inspiration behind the brand, Chris Boardman.